Hey everyone! I've seen this technique for making eggs a few times on TV and finally gave it a try. 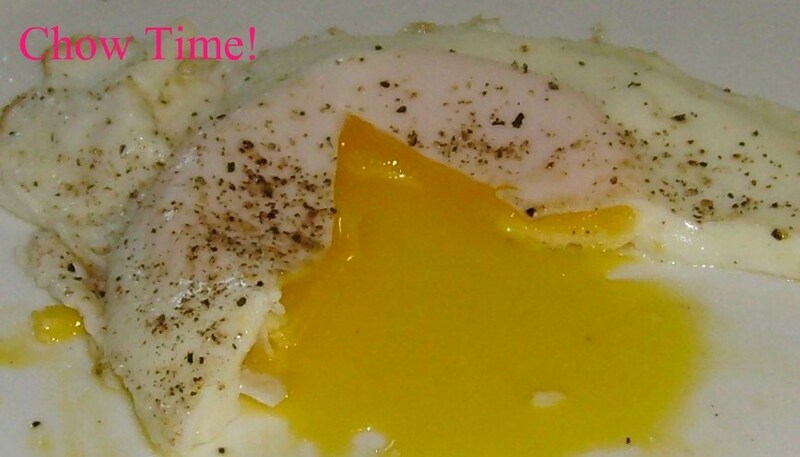 Now, I've flipped my share of eggs at the Diner and at home, this is by far my favorite way to make Over Easy Eggs! Take your eggs out of the fridge and set aside. 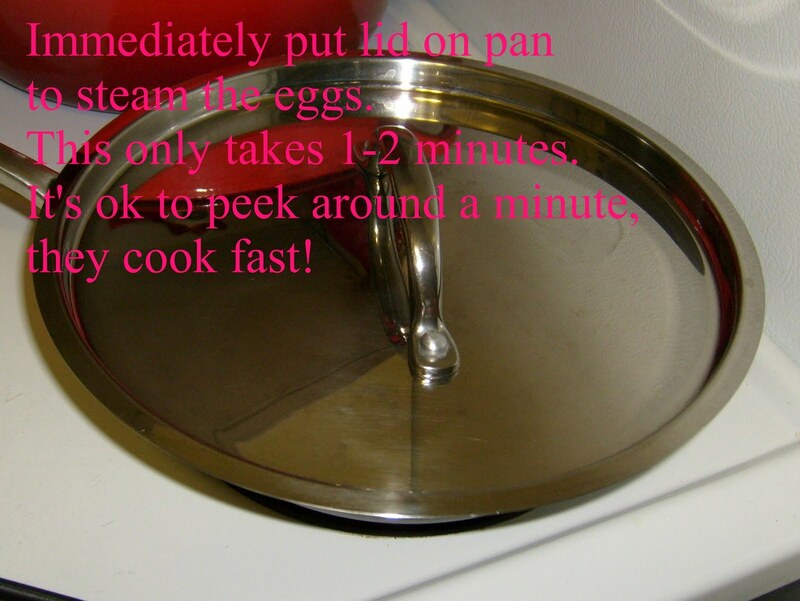 Start by heating your pan for 4-5 minutes over medium heat (turn the knob of an electric stove to 5-6). This is an 8" skillet. Note: Every stove is different, it might take a try or two to figure out exactly how hot the pan needs to be and how long you want to steam the egg, but once you get it, it's very good! 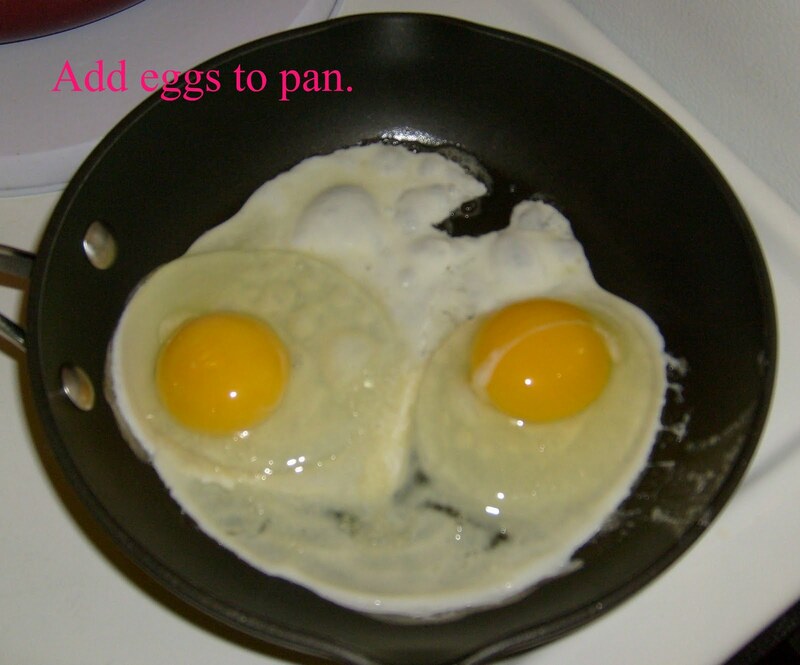 **The key to this is letting the pan slowly heat to medium heat before you add the eggs. **I use a non-stick pan. 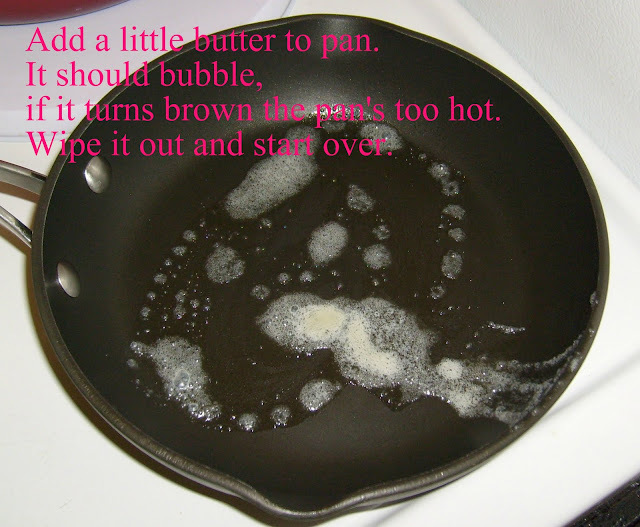 If not using non-stick you might want to add more butter or oil. Oh this I've got to try! 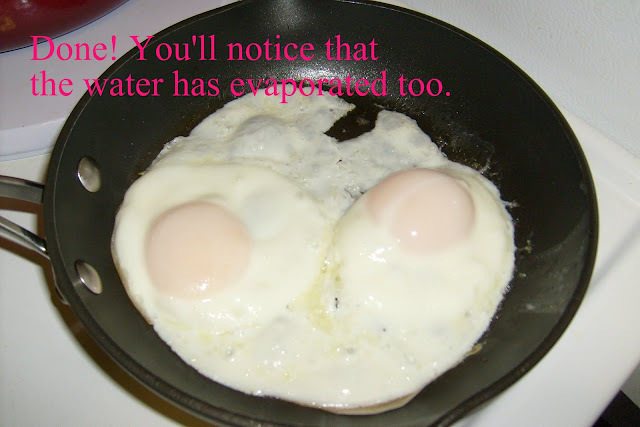 My daughters and I love them over easy and I'm always breaking the yolk or overcooking. Thanks for the tip. Hope to see you at Seasonal Sundays. Wow! I'd never seen eggs cooked like this. I am so going to try this. Breakfast for dinner anyone? we do our eggs this way too - covered and steamed so we don't have to flip 'em. Yep, that's how I make them! Good to know Lynn, Would you believe I have made eggs over light for my husband for 48 years and did not know this. I can't wait to try it. THANK YOU!!! We had some bad storms here and lost our net connection for four days. It is fixed now but SLOW. I'll take it. I sure missed being able to post and visit. Smile. Great tip Lynn! I am going to try this tomorrow for breakfast! OH MY GOSH!!! I love overeasy eggs, but I raise my blood pressure about 20 points each time before I even eat them - Ive tried to flip the little suckers - then my magic kitchen gnome who will remain nameless (cough-mr. foresterman-cough) has to come in and rescue them from me...now I can maybe make them again without pressure!!! I love over easy eggs this way. I do make them like this but when I want the kids to oooh and aaah over how cool I am, I flip them. They think that is really neat. Hmm, not more closing my eyes and flipping the eggs over easy. 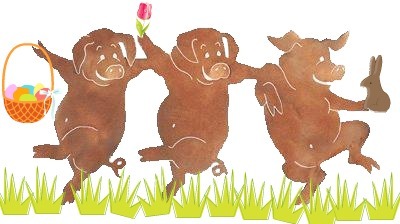 Only to find them torn apart! I've done that but with skim milk. It does work like a charm. My favorite eggs, and what a new simple method to have them just right! I am so going to try that - right now. Seriously, I'm going to the kitchen now and give it a try. Thanks for sharing! Awesome! I love over easy eggs - especially now when I can get them fresh from the farmer's market. I SOOOO needed this lesson! Have NEVER been able to make eggs over easy but that's my favorite. Mine always end up a mess, not unlike most of my cooking. I've never been a fan of over easy eggs but my son is so maybe I will surprise him with some over easy eggs tomorrow! Thanks for the great info! Whow, Lynn, what a fabulous idea. I will try this because the eggs look so yummy and just perfect cooked. I have a pan with glass lid, that makes it easy to peek insidem, what's going on. 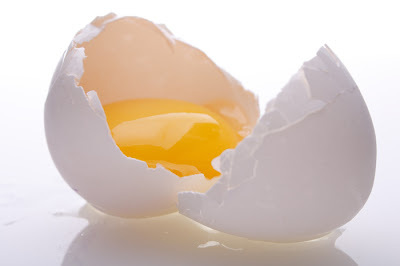 We eat eggs often over easy. I like this method. This fool proof. Thanks for sharing. Looks fantastic, what time is breakfast? 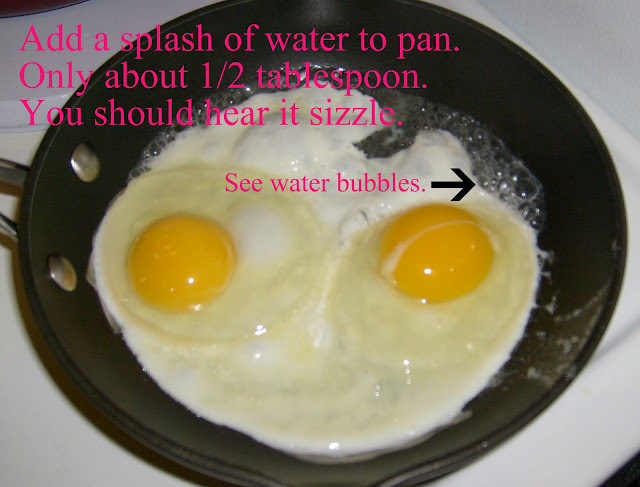 OMG, I can't believe how easy this is and the eggs are cooked EXACTLY as I like them. I always end up breaking the yolk when I flip them, it's so annoying. I haven't had breakfast yet, I'm going to try this - thanks! That is how I like my eggs but if I break the yolk while cooking them I won't eat them. Now this would be perfect. I will remember this. I always break the yolks. But now, that I have been diagnosed with high cholesterol, I'll be using eggbeaters again, so it won't really matter! Sorry I missed your Pillsbury Dough Boy cook-along. 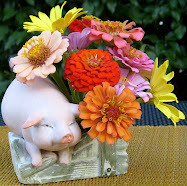 I was all set with a great appetizer recipe but then just didn't feel up to making it or posting. I will share it soon though because they really ARE delicious. I'm showing this tip later to my husband ..he's the official weekend breakfast egg maker! I think he'll love this! Eggs can be so hard to master. Thanks for the great tips!